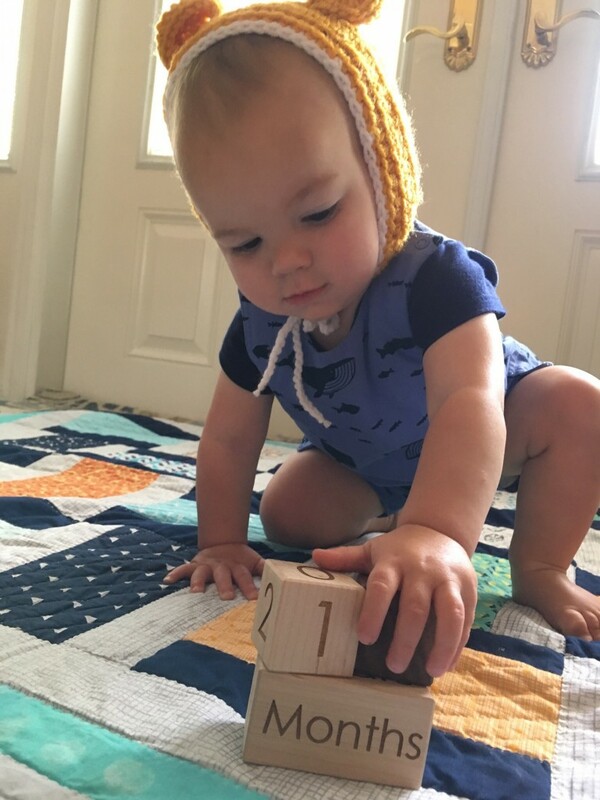 My littlest is now 11 months old! He seems too big these days, even though he’s still in the bottom half of the growth charts. 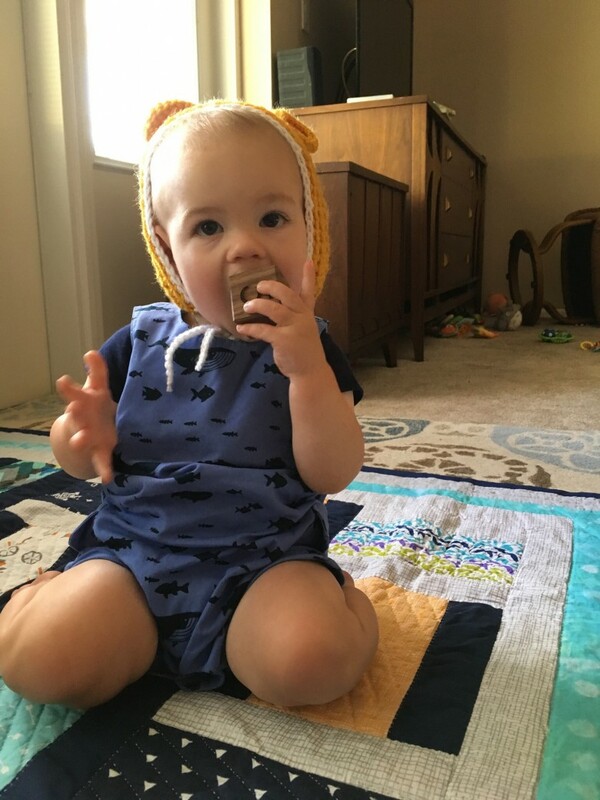 His strength allows him to endure Henry’s endless tackle hugs, wrestling, and crushing sitting attacks with minimal fuss. He loudly cries out when it gets to be too much for him, but I tend to freak out before that happens. He crawls with lightning speed, forcing me to close off rooms of the house so he won’t explore without supervision. 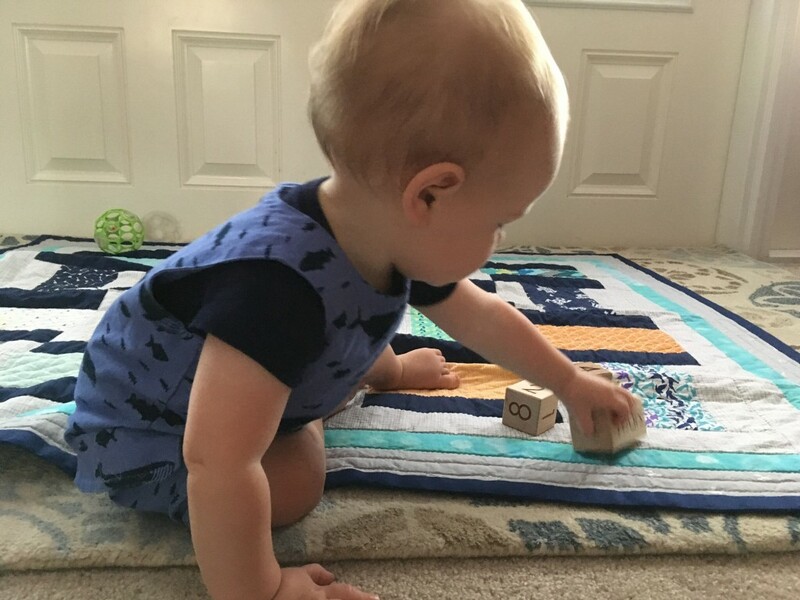 If he can find a toy with wheels (walker or large car or truck) or even one without (blue IKEA stools), he walks around pushing away. He cruises the furniture and people present in the room, and stands without holding on to anything for several seconds at a time. 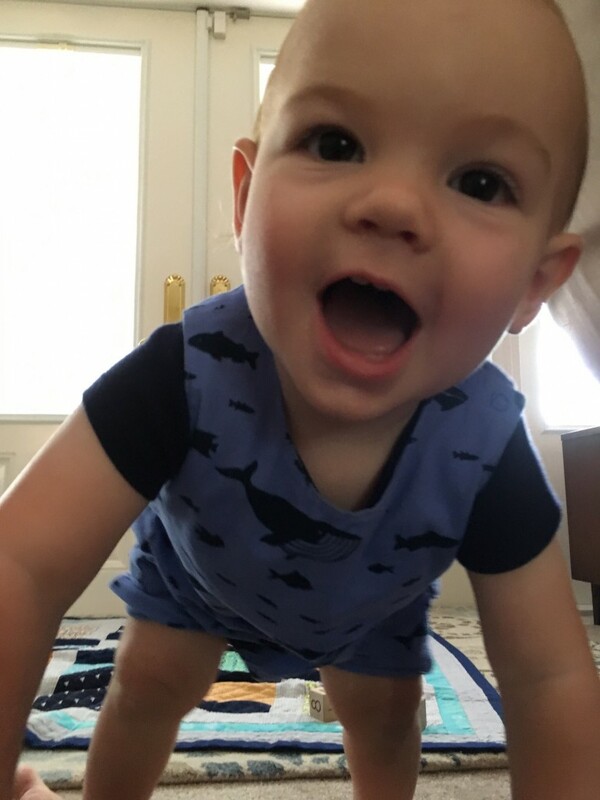 He is ready to walk. But I’m not ready. The world as I know it as a mom of two will change in the instant that happens. And I’ll be running down two little boys headed in opposite directions instead of a toddler and baby. I’m excited to see him motor on his own, but sad at the same time since he’s my last little. Motherhood is strange that way. The baby stage exhausts and frustrates me at some point each day (often more than once), but my heart seems to be breaking to see it go. Elliot is my snuggler; he’s always loved being close to wherever I am and maybe he won’t play and then come over for a hug and return to playing anymore. His favorite way to sleep continues to be on top of me (or Keith). While exhausting and not feasible for normal sleep, I can’t help but feel overwhelmingly suffocating love for him when he is sleeping in my arms after (while) nursing. But I’m so ready to sleep for more than four hours in a row sometime soon. He’s been sleeping much better at night and is only waking up 2 to 3 times versus the 7+ it had been from months 6 to 10. 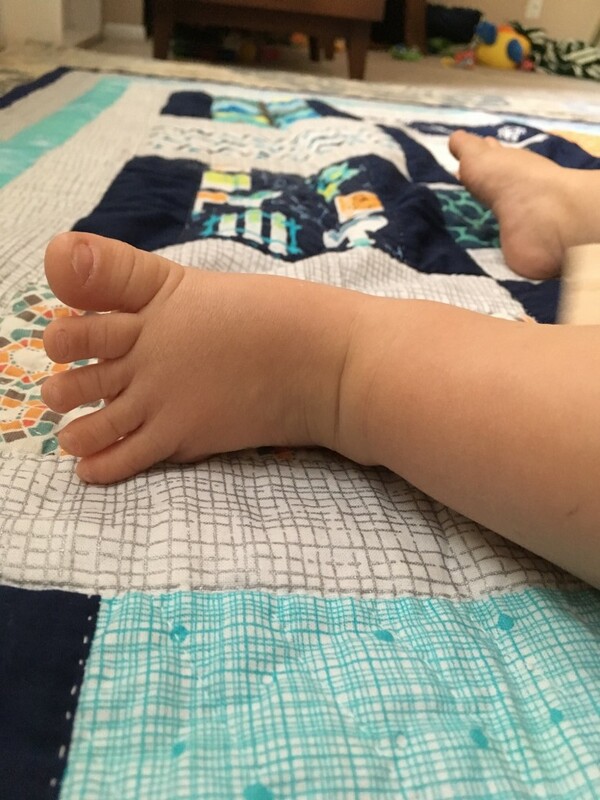 He still takes two naps, a short 30-minute morning one (probably due to being out and about with his bro) and a longer 2-3 hour one in the afternoons (usually split by a mid-nap nursing session). He sleeps best in our bed, but I don’t so he spends his nights and some naps in his crib in the project room. We’re waiting until he is big and strong enough to share with Henry, who still isn’t the best sleeper and tries his best to sleep in our bed each night. Elliot’s smile and laughter are ever-present. 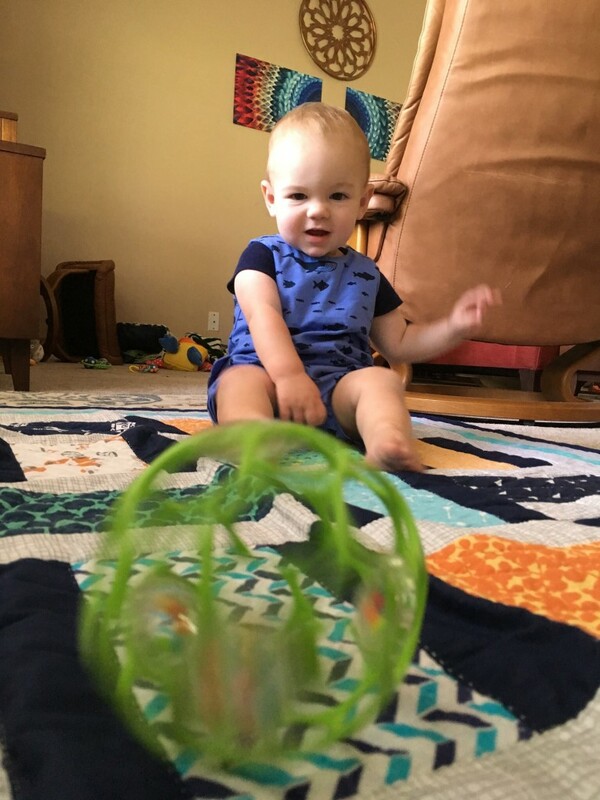 Everything brings him joy! 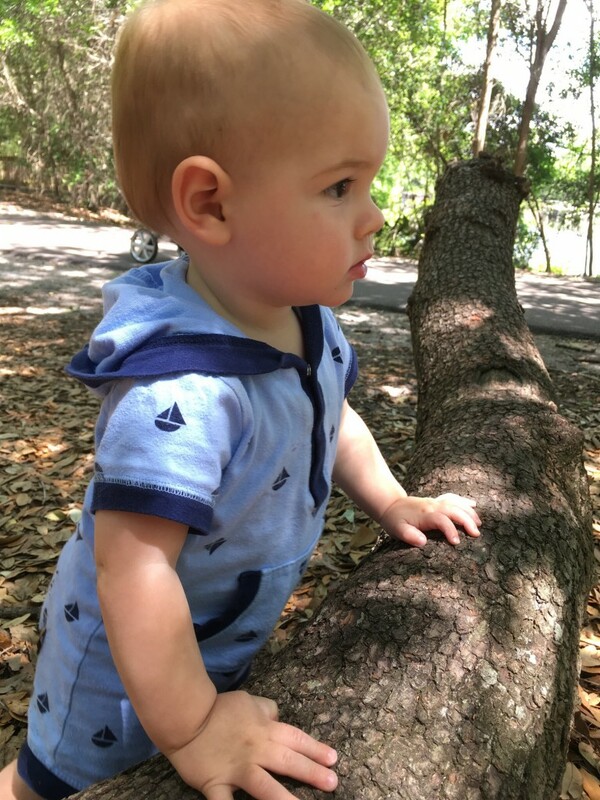 He especially likes pointing out all the birds in the sky, making fart noises with his mouth, getting dirty while trying to eat leaves, taking things out of things and putting them in other things, and dancing. The world is his dance party and anything can spark him moving his body to the beat. He just cut his 6th tooth and enjoys feeding himself finger foods. We still give him purees, too, but we mostly have to trick him into eating them. His favorite foods at the moment are eggs, black beans and rice, pears, and yogurt. Luckily, he doesn’t seem to have any food allergies (we’ve still been holding off on giving him oats since he had a sensitivity a few months ago). He’s had a virus or ear infection or cough pretty much every month of his life, but that comes with the territory of having a big brother who wants to share everything with him. It looks like he inherited my immune system, but at least he remains mostly happy when he’s ill. Finally, his favorite words are mama and dada. He also says words that could be construed as milk, head, hat, and brother, but aren’t quite there yet. He points as his main basis for communication and shakes his head no repeatedly when he doesn’t like or want something. 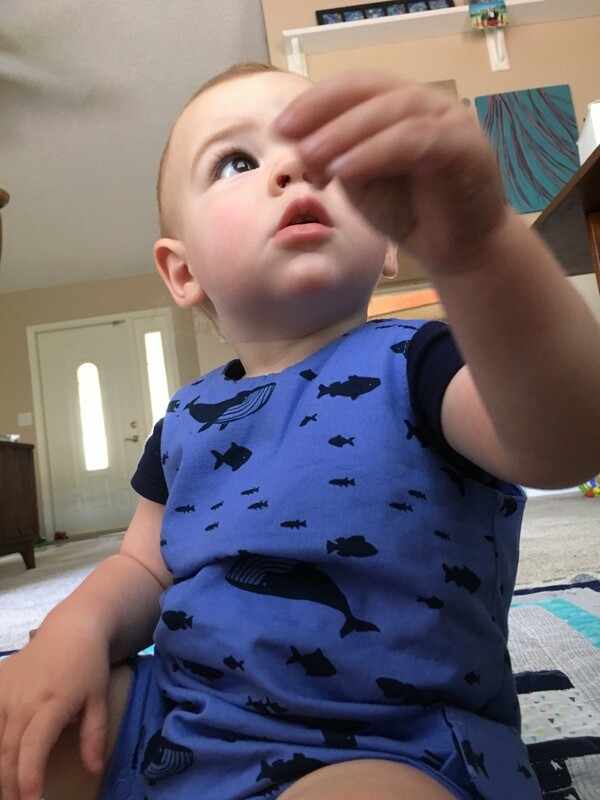 His voice is beginning to sound like Henry’s, so it can be difficult to tell who is crying or yelling. Poor kid, he gets called HenryElliot all the time already, and we aren’t even old yet! At least he doesn’t mind right now.